Our Bollywood stars seem to be on a vehicle-buying spree. Recently, we reported that popular actor Akshay Kumar has purchased a Jeep Compass for himself. Also, Go Goa Gone actor Kunal Khemu got a Ducati Scrambler for himself. 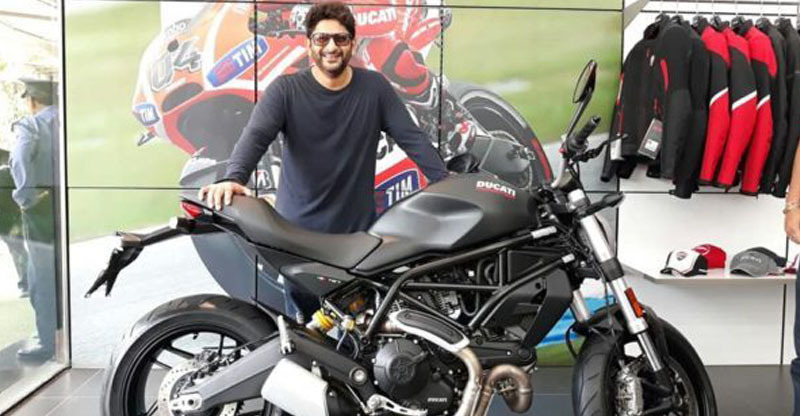 It has now come to light that even actor Arshad Warsi, most popular for his role of ‘Circuit’ in Munna Bhai MBBS, has bought a Ducati for himself. 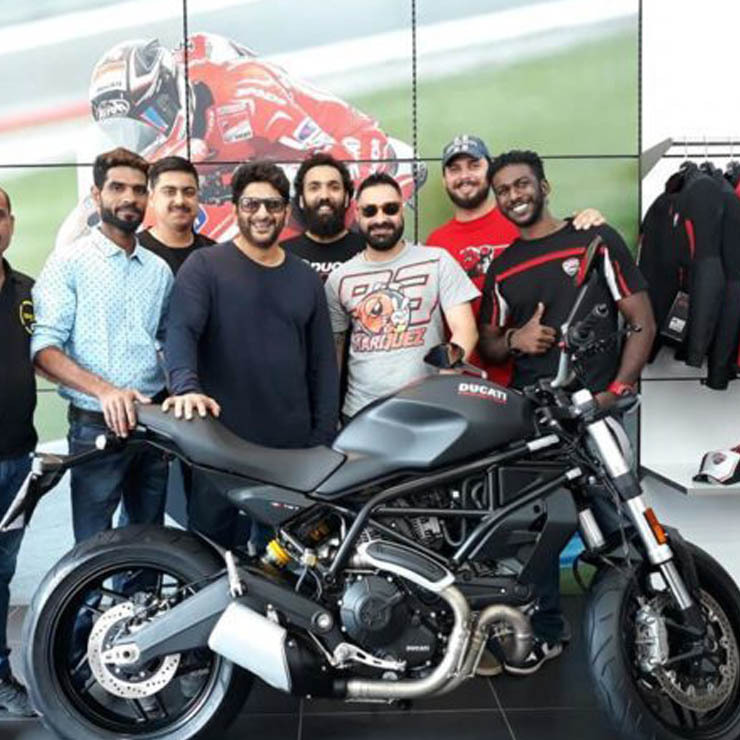 The Jolly LLB actor has purchased a Ducati Monster 797 Dark Edition motorcycle. The images you see on this page have been shared by Ducati Infinity Mumbai, which is the authorized dealership for Ducati motorcycles in Mumbai. These pictures show Warsi taking delivery of his new set of wheels. The Ducati Monster 797 will become the second motorcycle in the actor’s garage. His other motorcycle is the Indian Scout. Highlights of the Ducati Monster 797 Dark Edition include the distinct Trellis frame, LED DRLs, LED indicators, LED taillight, LCD instrument panel, cast aluminum twin-sided swingarm and a laterally mounted Sachs-sourced monoshock at the rear. The monoshock has an adjustable spring preload and rebound damping. The front suspension comprises of Kayaba upside down (USD) forks with 43 mm diameter and 130 mm of travel. The fuel tank can hold up to 16.5-liters of petrol. The Ducati Monster 797 is on sale in three colors – Ducati Red, Star White Silk, and Dark Stealth. Powering the Ducati Monster 797 is an 803cc Desmodue L-twin engine that outputs a maximum power of 73 hp at 8,250 rpm along with a peak torque of 67 Nm at 5,750 rpm. The engine comes mated to a six-speed transmission. The Ducati Monster 797 can sprint from zero to 100 kmph in just 4.94 seconds. It has a real world top speed of more than 200 kmph. The Monster 797 is officially on sale in India for a starting price of Rs 8.03 lakh (ex-showroom, Pan India). This motorcycle rivals the likes of the Kawasaki Z900 and the Triumph Street Triple S.